I know the NCAA tournament is over, and I know I said I would make six different cupcakes for my sweet six series, to coincide with the sweet sixteen/final four, however that did not happen. I tried, I really did. If no time management skills had a poster child, it would be me. Unfortunately the real world calls, and the only excuse I have is that I was swamped at work. In fact, I am in Florida right now on business. At first I was just going to leave it as is. The (excuse my french) F*** IT approach, but I couldn’t just leave you with my recipes for Double Chocolate Cupcakes, Lemon-Lime Cupcakes, or my Peanut Butter and Jelly cakes. No, no couldn’t do it, so here’s a little eye candy to end my cupcake madness series. Then it’s back to food for me, I don’t think I want to do sweets for a while. And by a while, I mean a week. 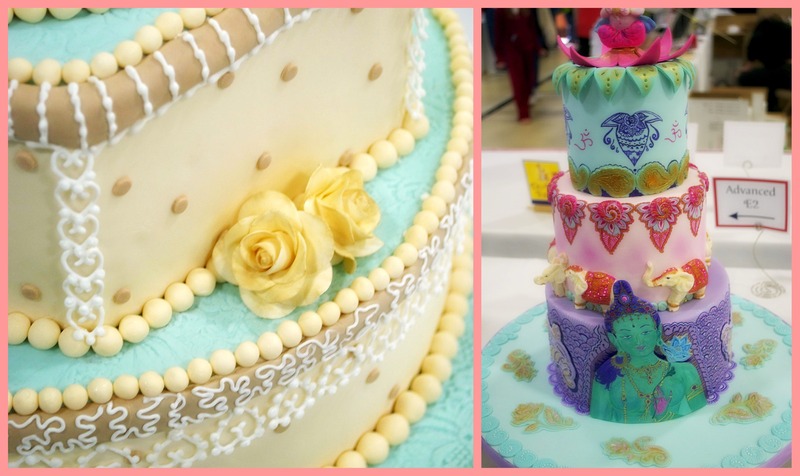 Here are some ideas, and pictures from the National Capital Area Cake Show, that I attended last weekend. 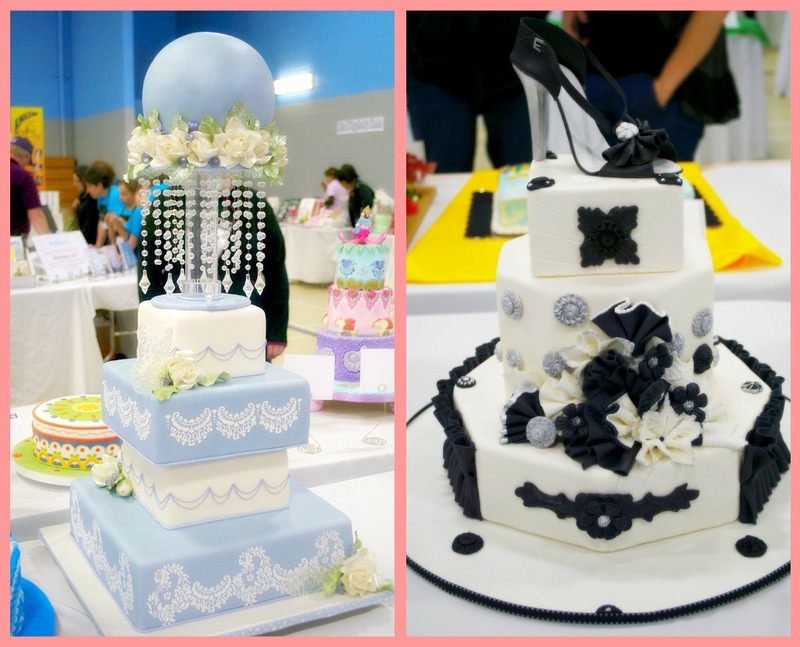 It was my first time at the show, and I was impressed by all of the wonderful cakes, and the products from different businesses from across the country. Did I mention all of the edible glitter? I think I was standing in front of a display of glitter for at least 10 minutes. Really it’s the little things in life that make me happy, and if those little things happen to be shiny and bright, I’m in heaven. 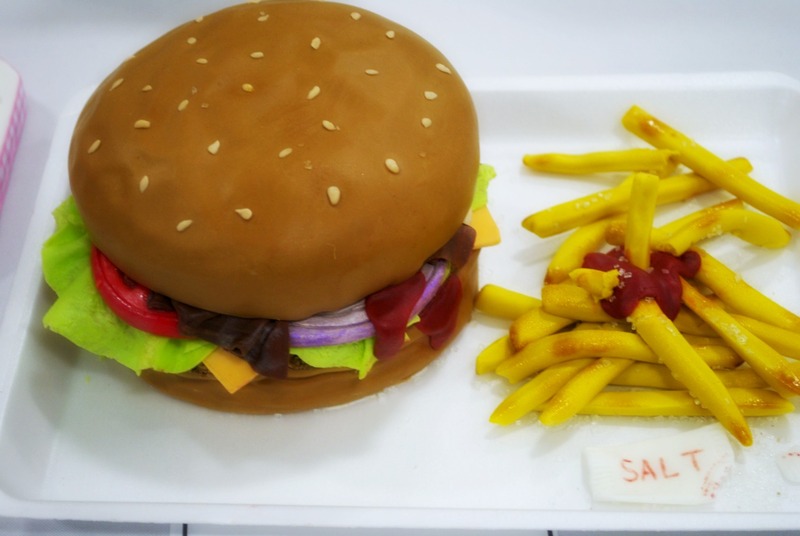 The Cake on the right was hand painted. Bananas!